Information shows that Cremation is becoming the most popular form of disposing of a deceased loved one. At Bevan Douglas Funerals we offer cremations at the Lincoln Grove Memorial Gardens and Crematorium or any other crematorium chosen by the family. 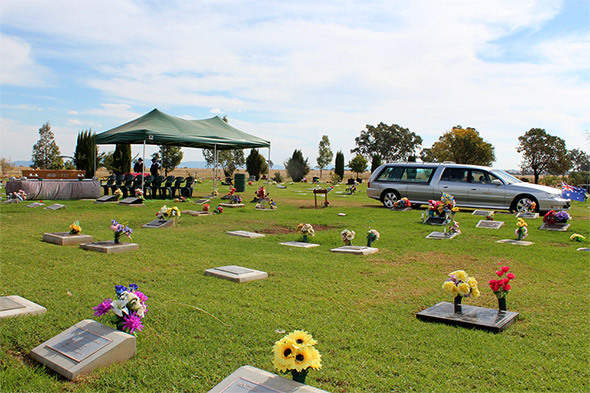 There are crematoriums in most regional areas as well as the cities. Most crematoriums also have a chapel where the service can be held prior to the cremation, however it is very common to have a Church service prior and attending the chapel at the crematorium for a committal service. In accordance with the wishes of the family the ashes are made available for memorialisation or for the family to take. Arrangement can also be made for the ashes to be scattered. Urns of every type are available for ashes for families wishing to keep their loved ones close. Our arranging officers can give you information regarding the available urns. All necessary legal documents to allow a cremation will be organized by our Arranging Officers.